Brock Built is excited to announce that homes are selling at The Enclave at Laura Creek community in Cobb County! The final three new craftsman-style homes are now under construction in the current phase. This exclusive gated community offers homes priced from the $330,000s, with expected to be move-in dates as soon as October! Homeowners in this beautiful community will enjoy a low-maintenance lifestyle with lawn care, whole house water usage, garbage and common area maintenance. Along with convenient access to outdoor activities, as well as fantastic shopping, dining and entertainment. All this makes The Enclave at Laura Creek a wonderful place to call home! The available home plans at Enclave at Laura Creek feature three and four bedrooms, perfect for growing families. One plan will even include a finished third level retreat. Professionally designed landscapes will be maintained by the HOA, so homeowners can enjoy their new homes without the worry of yard upkeep. Exteriors will feature 100% full wrap with James Hardie siding and Hardishake,* energy efficient systems and windows, beautiful front door entries with glass accents and two-car garages. Interiors are equally as impressive, with 9-foot ceilings, site-finished hardwood floors, elegant trim work and molding. The gourmet kitchen includes 42-inch maple cabinetry, granite kitchen countertops and stainless steel appliances. Our spacious upscale owner’s retreats will showcase trey ceilings (per plan), walk-in closets with ventilated shelving. The luxurious master bath will feature ceramic tile flooring, soaking tubs, separate tiled showers, granite countertops and classic Moen chrome fixtures. In addition to the charming craftsman inspired homes and amenities, there are many exciting things to do near The Enclave at Laura Creek. For residents who enjoy the outdoors, the new seven-mile, $11.6 million multi-use trail, Noonday Creek, will offer great opportunities. This jogging, hiking and biking trail is accessible from nearby Town Center Mall at Cobb. The Noonday Creek Trail will adjoin five other popular trails in the North Metro area. Including, the Silver Comet, Mountain to River, Chattahoochee and Cumberland. Plans for a proposed 42-acre park will be on display at the trail’s Grand Opening ribbon cutting ceremony in early September. For more information about the Enclave at Laura Creek, contact new homes specialist Larry Manning at 404-310-9587 or larrymanning@brockbuilt.com. 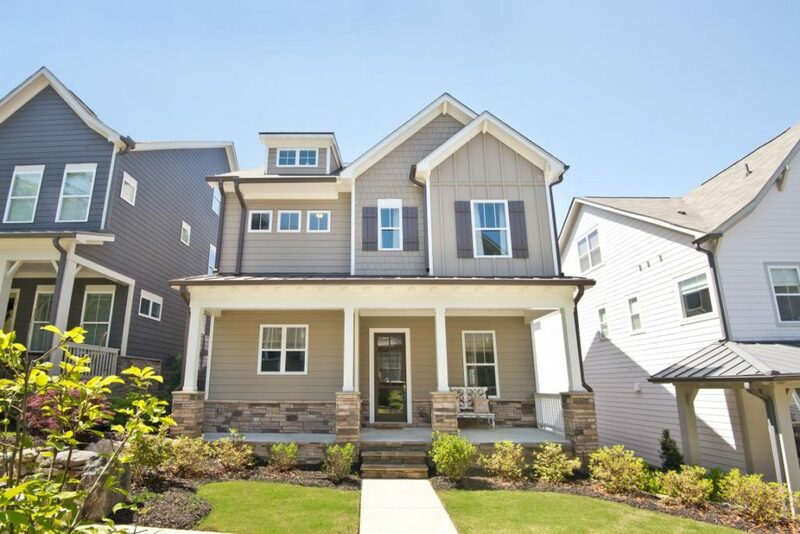 To see more new homes in Cobb County by Brock Built, visit brockbuilt.com today.